Contrary to what you, as a parent, believe, choosing a good pre-school for your children is not difficult if you adopt the right ways. You should get into the process only after preparing well. The first step in this process is to decide what your children should gain from their pre-school experience. The following tips may be helpful in the process. Your intention is not to get overwhelmed during the process you undertake for choosing a . So, you must ensure to ask a few basic questions such as if the schools should be near your home or should be near your workplace and if you need childcare services during the mornings, afternoons or both mornings and afternoons. Once you are clear with the answers to these questions, you will find that you have narrowed down your research to a few pre-schools in the location you have chosen. Remember that there may be a number of pre-schools in your location or its surroundings. That is the reason you are advised to narrow down your options so you will not get overwhelmed when you undertake the process of choosing a pre-school for your children. 2. Which approach do you want? Every pre-school may adopt a different approach for handling children. You should therefore decide on the approach you expect to have so you can focus your research only on those schools that adopt that approach. For example, pre-schools adopt approaches like the “Montessori Approach,” the “Waldorf Approach,” the “child-centered approach,” and the “faith-based approach.” You should know about each of these approaches and choose the right one that suits the style of learning of your children. Since the pre-school options available to you now are only a few, you will find it easy to do further research. You can visit the websites of the schools and go through the reviews written by parents who have put in their wards in them. You can also get in touch with some of those parents and make inquiries to know more details about the schools. Your friends, relatives and neighbors may also provide you with a vast amount of information and insights about the schools you are considering because they or some of their relatives or friends may have admitted their children in those schools. You should make it a point to ask those whom you contact as to which specific feature of the schools appealed to them. If features such as student-teacher ratio, easy access, and likeable settings that may excite the children appeal to you, you can short-list those schools. The Internet may help you in knowing if there are complaints against the schools you have short-listed. You should discard those schools against which there are complaints pertaining to the safety of children. You can make personal visits to the schools you have short-listed. Personal visits may help you to know if the schools and the surroundings are clean because unclean surroundings may harm the health of the children. Apart from looking around to know the settings and the environment, you can even discuss with the staff to know what they are offering, if your children will get excited about the environment and the settings and if the teachers and other employees of the schools interact kindly with the children. You should choose only those pre-schools that adopt the best safety system and that maintain the schools very well. The foregoing are simple steps and are easy to follow. The only point is that you should go about the process methodically so you make the right choice. Why is it Important to Send Your Child to Preschool? One may feel that your child is still too young and they are not ready for school yet and you can just send them to childcare while you are out at work. However, that is not the case and it is very important that you send them to preschool at the right age as it is very important for the development of your child. Most people treat the two terms interchangeably but that is not the case. The difference between a child care center and a preschool is that a childcare center is a place that accepts toddlers as well as babies and is a full day center that runs throughout the year. On the other hand, a preschool is for 3 to 4-year-olds and it targets early education and is very important for the development of your child. One study shows that the evidence that a child gains a lot from going to a preschool increases every day. 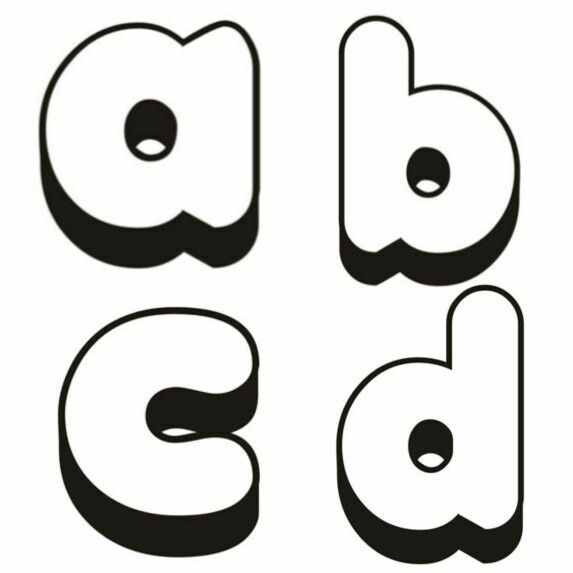 Preschool is the first place in which your child is exposed to letters, numbers, and even colors and shapes. The teacher also takes time to have various conversations and group discussions with the children. This helps them to become more aware of their surroundings and ask questions. Children can ask questions like Where does the water go after the rains? or What do birds do to have fun? a good quality preschool can help your child find the answers to these questions. However, there are some questions that a child can think of that would leave even the most intelligent of adults dumbfounded, it is this interest of the child that we have to keep alive as it is what will drive them towards the paths of further research. This is the basic foundation that your child will need to be able to learn and excel in their education later in life. A Playschool is a place where your child is first exposed to other children and also adults. It is where your child will learn how to interact with other children and also learn the fundamentals of socializing. Preschools help to teach the child important values like sharing and playing in groups. They can also help to teach the child leadership qualities and also the importance of discipline and cleanliness. This will result in the overall development of your child as teaching your child different values can be a difficult task if you try to do it at home as there arent many people around with whom the child can practice these skills. Most experts will say that it is important for the child to have some sort of group experience before they are enrolled in a kindergarten as this will help them learn how to be students. Preschool gives your child an experience of a formal classroom without putting too much pressure on the child to learn. The child learns that they will have to raise their hand to get the teachers attention and they also learn to wait for their turn. Most kindergarten teachers can verify that the children that go to preschools are those that come into kindergarten with the will to learn and also have better behavior management skills. Another important benefit of starting your childs educational journey with a preschool is that they will learn to be separated from the parents for a little while at a time. It helps the child to learn to trust another adult who is not their parent or family member and a teacher is established as someone who can help them solve various problems that they may have. It is the job of the parent to choose the right preschool in Singapore for their child. Researchers are of the firm opinion that by putting your kids in a good preschool , you are opening a special gateway for launching their future. Let us see why. 1. Children can gain immensely by attending a preschool because they learn shapes, numbers, and letters. More importantly, they learn social skills because they have to interact with other kids, and the employees and the teachers of the school. 2. Researchers have also proved that those kids who get trained in a good preschool can perform better when they get into kindergarten. Their pre-reading skills will be better, they will have richer vocabularies than other kids who have not attended a preschool, and they will also have basic arithmetic skills. 3. Since kids who go to a good will be involved in a number of group activities, they will have better interpersonal skills than those kids who are not put into such schools. But you may wonder why a preschool that encourages the above activities is considered a special gateway for launching the future of kids. Let us find out. 1. Teaching your kids in a less formal environment may not be as effective as doing so in a formal environment. Since a good preschool will have a formal environment and structure, children will learn better. Your children will learn to share things, play and carry out their activities as a group, take turns and convey their needs to the teachers and other staff of the school. Since they learn to manage their behavior according to situations, their transition not only to kindergarten but to adulthood will be easier. 2. Though the brain of children develops very fast during their early childhood, channelizing the development and energy in the right manner will be an easier and smoother process in a preschool environment. Researchers have proved that if the right efforts are made to hasten the brain development, the brain will be able to form what are known as neural paths at a faster pace. Therefore, these children will be able to perform or function better. They will learn faster than other children also. 3. A good preschool will make available rich contents and information to kids. This means that in such an environment, children will become more informed than other kids. 4. Since children who have been trained in a preschool will grow into adults who are better informed and who have better people management skills, they are certain to get into the radar of high-profile employers. In other words, these children will take off in a big way and land very good jobs. Even if these children want to become entrepreneurs when they grow up, chances of they achieving success in their ventures are very high. This is because they have excellent people skills. They know how to interact with their customers, suppliers, vendors and other business associates. They will be aware that if they manage their employees suitably and motivate them in the right manner, they can easily achieve stupendous success in their ventures. 5. A good preschool will teach kids the value of time and the invaluable power of hard work. So, they may not hesitate to put in the required efforts for accomplishing their tasks. Since they know the value of time, they will ensure to work in an organized manner so they will complete the tasks on time. Even if they turn into entrepreneurs, they will see that they fulfill the expectations of their customers on time. For example, they will ensure that deliveries of the orders placed by their customers are made on dot. Thanks to their awareness about security, they will put in place appropriate systems to ensure the safety of their employees and their data. To summarize, a good pre-school is certainly a special gateway for launching the future of kids. Choosing a preschool that is a solid match for your youngster can be energizing and an exciting time, however preschool education in singapore can also be challenging depending on the readniness of the child to be away from the parent. As a parent, you need to be sure to give your child the very best and that you choose the correct programme for your little one, however, how would you settle on the best decision? Continuously ask about down to earth matters first. “When going by preschools, assess down to primary issues particular to your family’s needs. These incorporate the school’s hours, vicinity to your home or work, accessible transportation,after hours choices, cost, class size, and staff/student proportion.Make certain to get some information about the application and confirmation techniques and the course of events for these. Begin considering programs early and find out more data to ensure you don’t miss any due dates. How ahead of schedule to begin searching for a preschool relies upon where you live. On the off chance that you don’t live in a big city, begin examining your alternatives 9 months to a year prior to you the time you hope to enlist your youngster. While investigating your preschool choices, remember these imperative inquiries and considerations. What is the instructive rationality of the preschool? In picking a preschool program that is best for their kid, guardians ought to consider the level of transparency between the school and the family. It’s essential that the family is invited to the program, urged to make an appearance whenever, and guaranteed that the inside is giving the family input on the kid’s advancement and day by day schedule. It’s essential that open correspondence is kept up through parent gatherings and criticism with respect to your tyke’s everyday schedules and advancement. It’s vital to search for a disclosure based program, and not one that is principally centered around bore and practice aptitudes. While structure is fundamental, guardians should search for a preschool that offers open doors for youngsters to settle on decisions about their learning. Finding out about the schools fundamental curriculum and behaviour towards the kid is essential. What is the instructive foundation and experience of the educators and staff? Obviously, you need to make sure that your tyke’s preschool instructor is experienced and qualified.The instructor ought to have no less than a Child Development Associate (CDA) qualification or others depending on the country and potentially more. Get some information about her preparation and experience working with youthful youngsters and with a formatively fitting educational program. A decent preschool educator sees how kids develop and create. Are there dynamic study chances to create gross and fine motor skill and aptitudes? Preschools should offer a lot of chances for dynamic play. Physical movement is basic for the improvement of a tyke’s aptitudes and advances well-being amongst others. Table time is likewise an absolute necessity. It’s vital that youngsters have everyday introduction to body exercises, for example, hanging globules, clipping paper strips, and pre-composing exercises, for example, writing in shaving cream. General introduction to these errands builds up the aptitudes youngsters will require in . It also develops their taste and helps them discover interests. Do the kids snooze routinely? Developing tots need to rest sooner or later amid a bustling preschool day, so keep in mind to ask the instructor when naptime happens. In a perfect world, rests ought to be scheduled consistently and ought not last over two hours (more than that may meddle with your little one getting a decent night’s rest). You’ll have to know whether the school comes with a resting place.Nursery schools in Singapore vary with the supply of resting rooms. In case you’re required to give these things, inquire as to whether they will be washed at school or sent home every week. Utilize an indelible marker to compose your youngster’s name on all provisions that you send to class.